Poe Dameron’s solo adventures are coming to an end. As announced in Marvel Comics’ September 2018 solitics, Star Wars: Poe Dameron is ending with issue #31. Original series writer Charles Soule and artist Angel Unzueta will close out the title, with original series artist Phil Noto providing the cover. The Star Wars comic book series was the first set during The Force Awakens timeline, which jumped ahead to 30 years after 1983’s Return of the Jedi. Showing the initial skirmishes between the First Order and the Resistance, Star Wars: Poe Dameron followed the eponymous pilot, played in the films by Oscar Isaac, and his Black Squadron partners across the galaxy. Writer Charles Soule and artist Phil Noto first launched the series in April 2016, with the events of the comic initially taking place shortly before the events of 2015’s The Force Awakens. Starting with this past April’s Poe Dameron #26, the series jumped past the ending of 2017’s The Last Jedi as Dameron recounted his previously unseen adventures during Episode VII. While Poe Dameron is expected to take to the skies again in next year’s as-yet untitled Episode IX, the cancellation of his series means a noticeable lack of comic books taking place in the sequel trilogy era. Charles Soule and Angel Unzueta’s Star Wars: Poe Dameron #31 is scheduled to be released this September by Marvel and LucasFilm for $3.99. See below for the issue’s full solicit information. 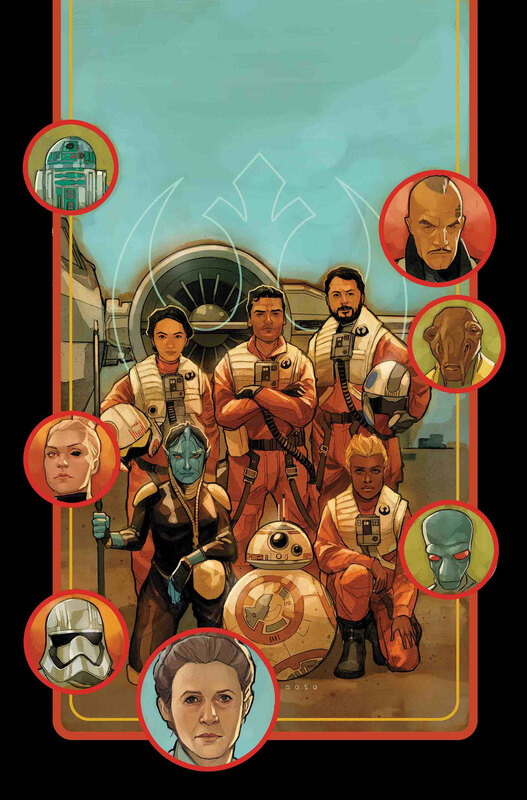 The post Marvel’s Star Wars: Poe Dameron Comic Ending in September appeared first on CBR.